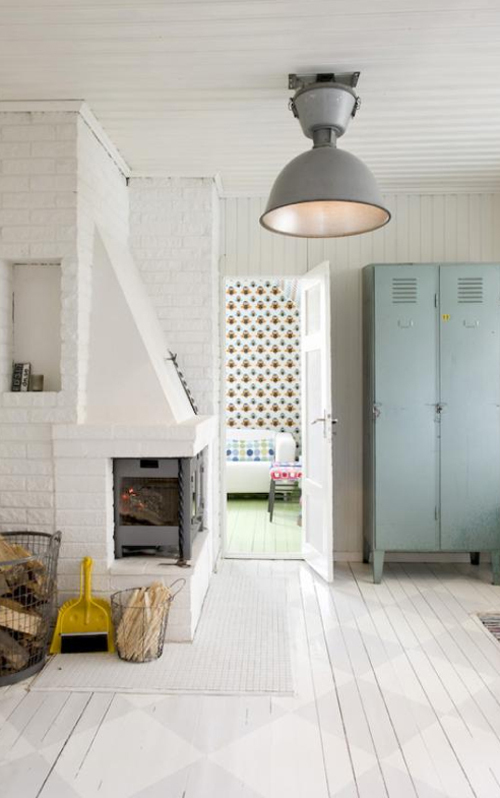 This Scandinavian family home is decorated with a lovely mix of industrial style furniture accessories and flea market finds. 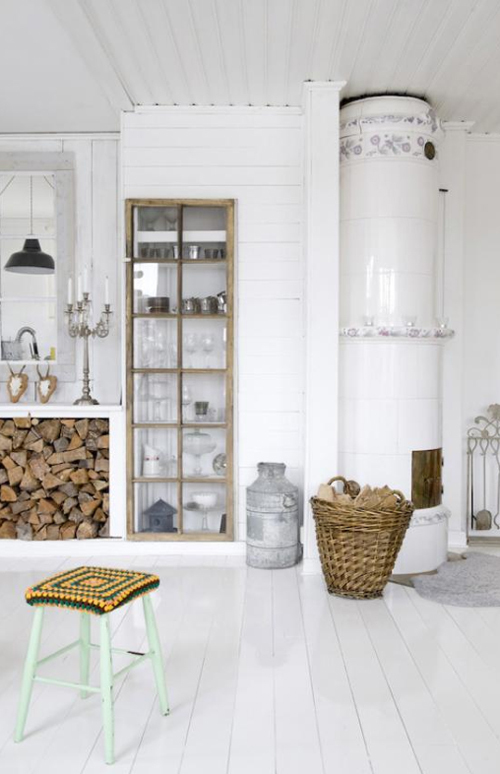 I love the traditional Scandinavian wood burning stove in the image below. 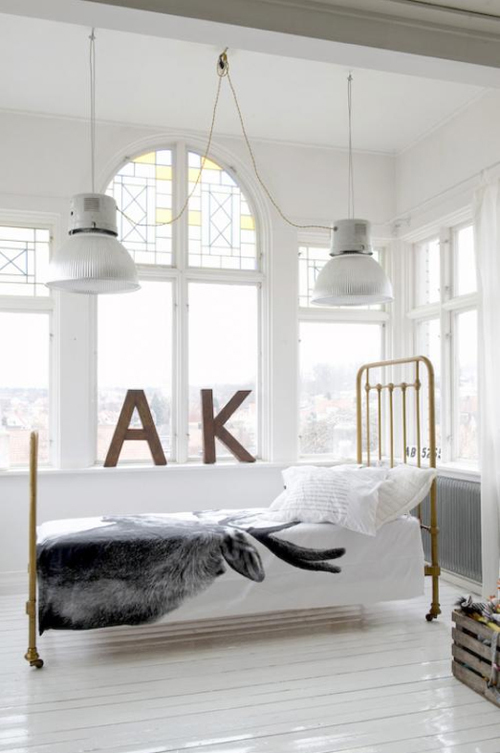 The Moose print duvet cover adds a Nordic touch to the bedroom. 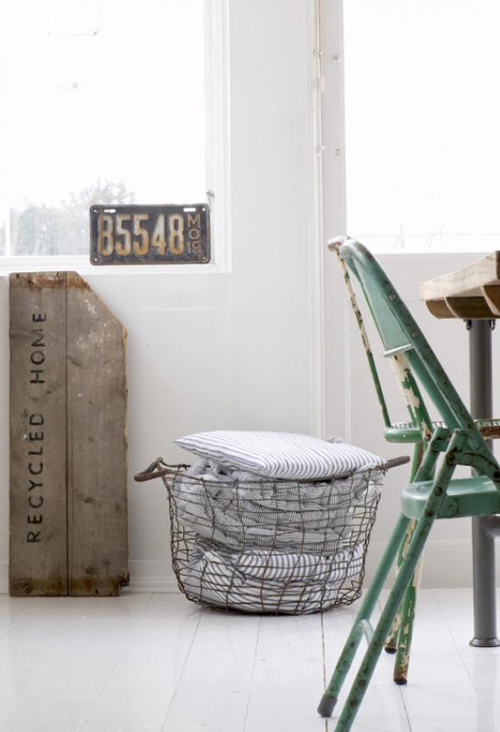 This home made it into one of my posts some time ago and I’m happy to say that its beauty still resonates with me today! So so lovely. Just love it!!!! It’s great!!!! Love this style!!!! Where can I get that bedspread? SOOOOO want it!